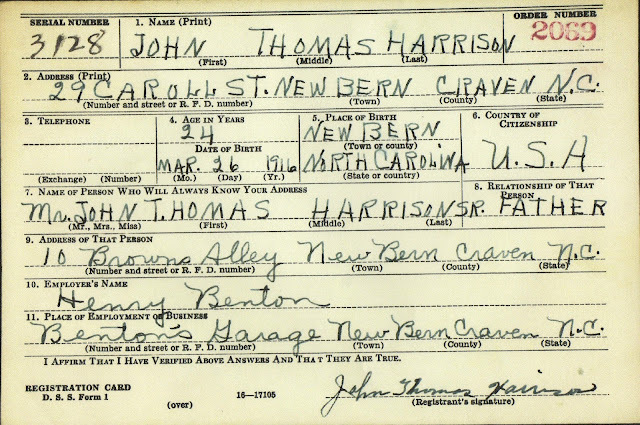 WWII Draft Registration Card for John Thomas Harrsion Jr. 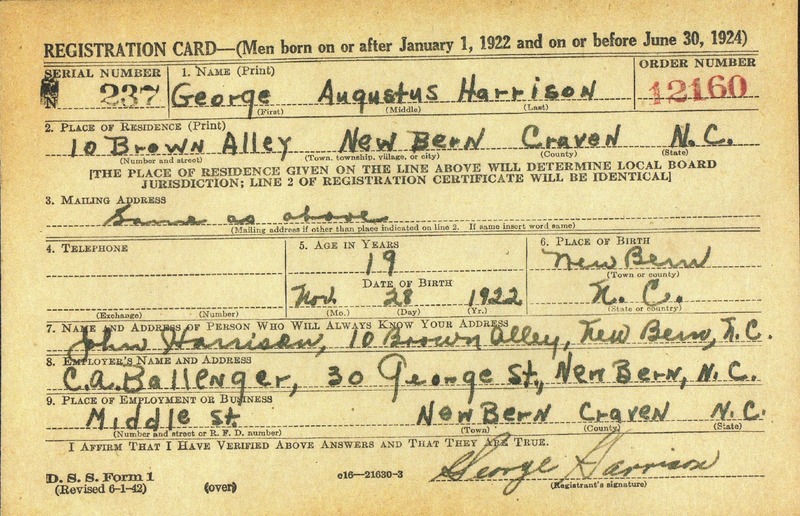 Source Citation: The National Archives Southeast Region; Atlanta, GA; Records of the Selective Service System, 1926-1975; Record Group: RG 147; Class: RG147, North Carolina World War II Draft Registration Cards; Box Number: 155. 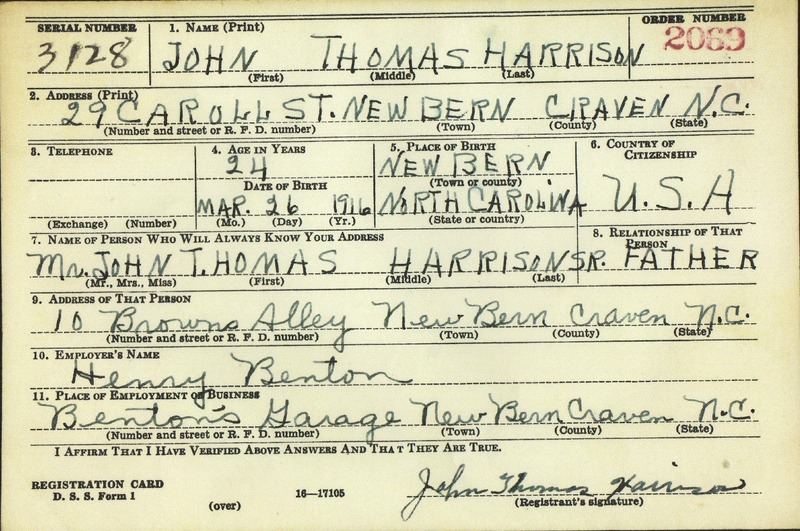 John Thomas Harrison Jr. and George Augustus Harrison were my grand uncles. 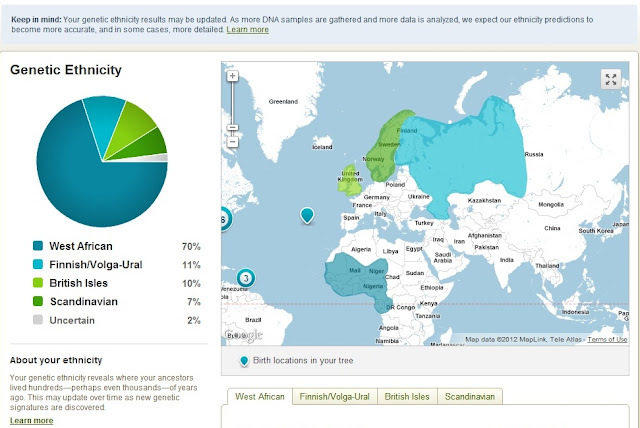 They were siblings of my maternal grandfather, Lemuel Richard Harrison. I like draft cards because they help to give a quick snapshot into the lives of people. From these cards, I know places of employment for both men and that George still resided in his childhood home. John Thomas Harrison Jr, the eldest of thirteen, had established himself at a separate address. I will have to see if I can find any information online about the places that they worked at. Hi I really like your blog. You have a nice variety of subjects & its not boring. 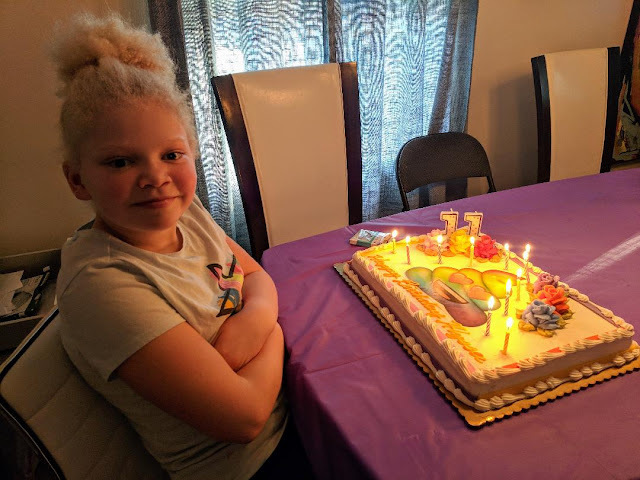 Keep up the great blogging. DuSyl of DuSyl.blogspot.com Come check out my blog. 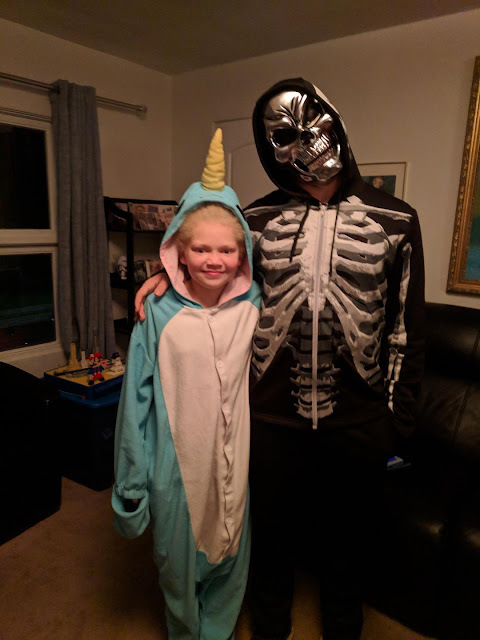 See if I have as many interesting post as you do.